Home » Posts » What Are the Benefits of Mail Services and Having a Physical Business Address for Entrepreneurs? Entrepreneurship comes with a great deal of challenges and hurdles that can seem insurmountable at first. One of the biggest obstacles you’ll face, aside from building a brand that’s profitable within the first two to three years of inception, is simply getting people to take you and your business seriously. Failing to secure a reliable and trustworthy physical address for entrepreneurs magnifies that issue tenfold. Regardless of where you conduct your business—whether you’re renting an office space, work from home, or if you meet clients in public places—you need to have a professional physical address associated with your company. This gives prospective and existing clients the peace of mind they need in order to do business with you. The road to entrepreneurship is paved with good intentions. Starting your own business and building it from the ground up takes a lot of commitment, blood, sweat, and tears—but all of that makes accomplishing your goals all the more rewarding. To prove that you have what it takes, you need to understand what your customers want and then come up with a foolproof plan to deliver it to them. Being an industry disruptor is a guaranteed way to capture and hold people’s attention. Part of that is showing your customers that your business is honest, professional, and worth supporting. Having a physical address for your business shows your customers that you’re not just a one-trick pony looking to make a quick buck; it means you’re working hard toward growing your brand and elevating it to the next level. Having a physical address for your business doesn’t necessarily mean that you have to rent a full-on office space and work from there. It just means that you have a professional address that’s directly tied to your business so that if your clients need to reach you or send you mail, they have somewhere to actually send it. Far too many startups and entrepreneurs make the glaring mistake of using a P.O. Box or personal address as their mailing address for their business. While this may save you some money in the beginning, it can actually hurt your business before you have the chance to even start expanding it. When people see a personal or residential address associated with your business, this sends up a lot of red flags. It makes them think that you’re not a legitimate business. Taking all of this into consideration, here are some worthwhile benefits of acquiring a physical address and mail service for your business. 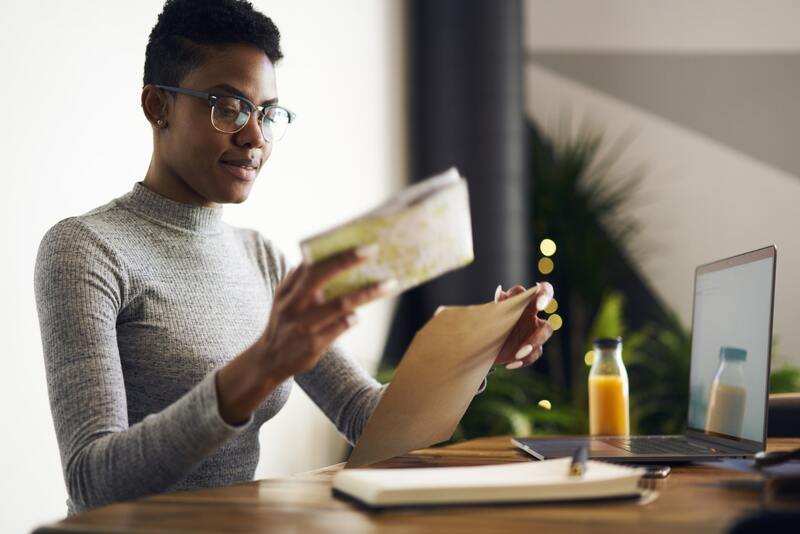 As an entrepreneur, small business owner, or startup, there are so many ways in which you can leverage having a professional address associated with your company. For starters, you can print your professional address on business cards and use them to network with your peers and clients. Having a legitimate business address gives your company an air of professionalism, credibility, and reliability that would otherwise elude you. Building up a strong brand reputation and awareness is important for a business that’s still in its infancy. Hiring a virtual or physical office rental company to cater to your mail service needs comes with a host of other benefits including a qualified receptionist team, phone answering services, and mail acceptance on your behalf. Another perk of securing a physical mailing address for your business is that these services are often associated with a complete office rental company such as Innovative Professional Offices. Oftentimes, these companies offer hourly, daily, weekly, monthly, and even yearly office space rentals. Whenever you need to hold a client meeting, interview new candidates for an open position, or simply need a quiet space to work, you can take advantage of our fully furnished, high-end office suites. Even if you’re just renting the space on a temporary basis, it helps to know that it’s always available whenever the opportunity arises. It’s also important to consider the potential for future expansions for your business. After all, you’re not planning on remaining a one-person show forever. At some point, you might need to hire temporary or permanent employees to fulfill certain tasks as your business continues to mature over time. When that happens, you’re going to want a professional, well-maintained, and spacious office space to accommodate the needs of your business and employees. Office space rental companies that offer mail services also have advanced security systems that guarantee the safe arrival and retrieval of your important packages, documents, and other work-related items. This is a much safer option than having packages delivered to your private residence and then having them sitting on your front doorstep when you’re not available to collect them. Procuring a secure mail service to accept packages and documents on your behalf minimizes the risk of these items getting lost or stolen. Only authorized personnel will be allowed to sign for and accept packages on your behalf. On top of that, you’ll be alerted via any mode of communication of your choosing (i.e. phone call or e-mail) every time a package or piece of mail arrives for you. That way, you can ensure that you never miss an important piece of mail again. In the event that you’re out of town or unavailable to pick up your mail within a certain timeframe, the mail service will be more than happy to hold on to it for you for however long you need. At Innovative Professional Offices, we completely understand how difficult it is to start your own business, build a client base, and increase brand awareness. We offer invaluable support to entrepreneurs on a national and international level through our professional business address and mail services. To learn more about how we can help you expand your growing business, please contact us today!